"I never had any ambition to be a star, or whatever it is called, and I'm still embarrased at the word. I just wanted to act as well as I could act"
In the Queen's New Year Honours, John Hurt has been given a Knighthood. From now on he will be Sir John Hurt! A great honour for this most self-depreciating actor. In a long and varied career, spanning six decades, he has given many truly outstanding performances. He remains one of my favourite actors, and is one of the best 'character' actors this country has produced. Having an uncanny chameleon-like quality, which allows him to possess his role, it's almost as if he can morph into different characters. His craggy features and distinctive voice are instantly recognisable. John has recieved many best actor and best supporting actor awards. In 2012 John recieved the BAFTA award for Outstanding British Contribution to Cinema. 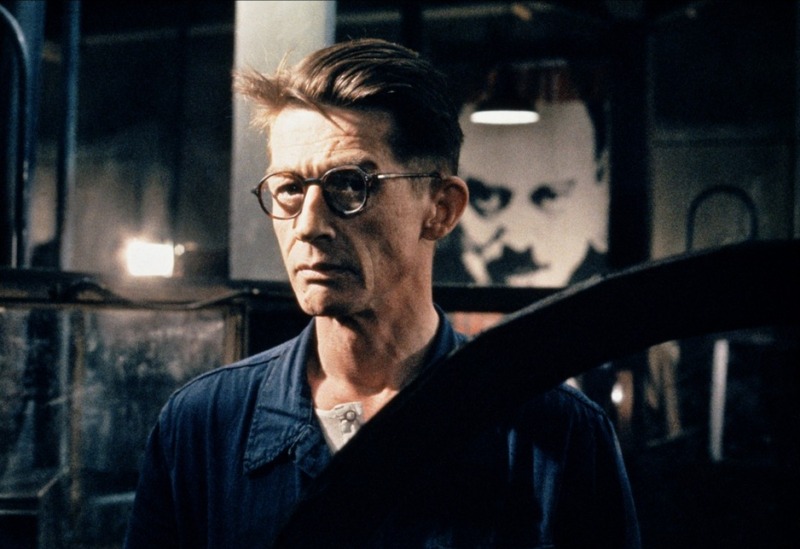 With a gift for portraying emotion, suffering and human frailty, most notably in The Elephant Man, Midnight Express, and 1984, where he was perfectly cast as Winston Smith. Of course around here, he is best known for his portrayal of Executive Officer Kane, in ALIEN. The first victim of that terrible and unforgettable, Alien Lifecycle! John has appeared in many Science Fiction films, including- ALIEN, 1984, V for Vendetta, Hellboy, Outlander, and more recently, Snowpiercer. On television, he was Quentin Crisp in The Naked Civil Servant, had the title role in I, Claudius, and featured in the 50th Anniversary Special, Doctor Who: The Day of The Doctor. Congratulations Sir, it couldn't have happened to a finer, or more worthy actor! 3 Fan responses to Arise Sir John Hurt! Godspeed John Hurt, you truly were a star! One of my all-time favorite actors. I,Claudius, The Elephant Man, The Shout, Alien and many other wonderful performances. He was also great in Midnight Express. Thank you John for the work.